To expose musicians and audience members alike to musical genres including but not limited to popular culture (i.e. pop music, Broadway, classical, film, television, video games) during the summer months. Original and modern works will be included. Members are not required to audition for entrance into this ensemble. All competent musicians are eligible to join. We encourage kids and adults alike to join as a way to provide a professional, yet fun experience for individual musicians and families alike. This is a great way for students and families to spend their time during the summer away from school! Instrumentation is standard pops orchestra, including all standard orchestral woodwinds, brass, percussion, and strings, plus rhythm section (guitar, piano, bass, drum set). The ensemble rehearses Monday evenings during the summer from 7-8:15pm in Hopewell Borough. Specific information for the group is distributed in the form of a syllabus at the first rehearsal each season. The ensemble is considered "collaborative" because its performances are usually in conjunction with other ensembles, such as the Hopewell Summer Orchestra (not affiliated with HV CAMP). This may include individual performances at concerts where other groups also perform, as well as performing with other groups in a combined setting. 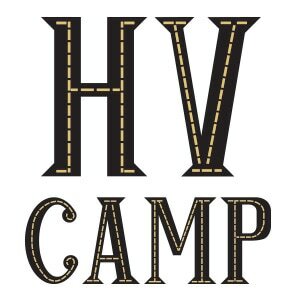 This ensemble differs from the normal standards of HV CAMP in that the ensemble only meets during the summer, as opposed to the two season format (Spring/Fall) for the other ensembles. As such, the membership fee is reduced to $15 per person for the summer.